What is a server rack? Linkbasic 19” Rack, 27Ux1m – Recommended for small business. Linkbasic 19” Rack, 42Ux1m – Recommended for medium to large business. 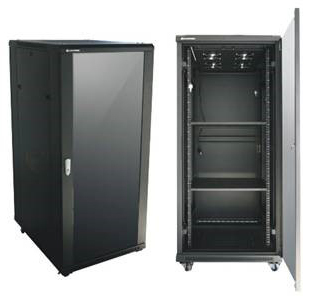 These steel server cabinets are manufactured with high strength steel, and include 4 fans and 2 shelves. The front glass door can be changed to a perforated steel front door. Additional rack accessories also available.